2007 – new radio programs..new music projects.. new way..new life..!! Launch Party – Saturday January 20th 2007..be there!! Print out this page for free entry!! Guy Perryman & Mado Lounge invite you to..
Print this invitation page for free entry! 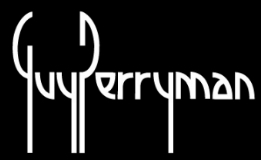 You are currently browsing the GUY PERRYMAN blog archives for January, 2007.